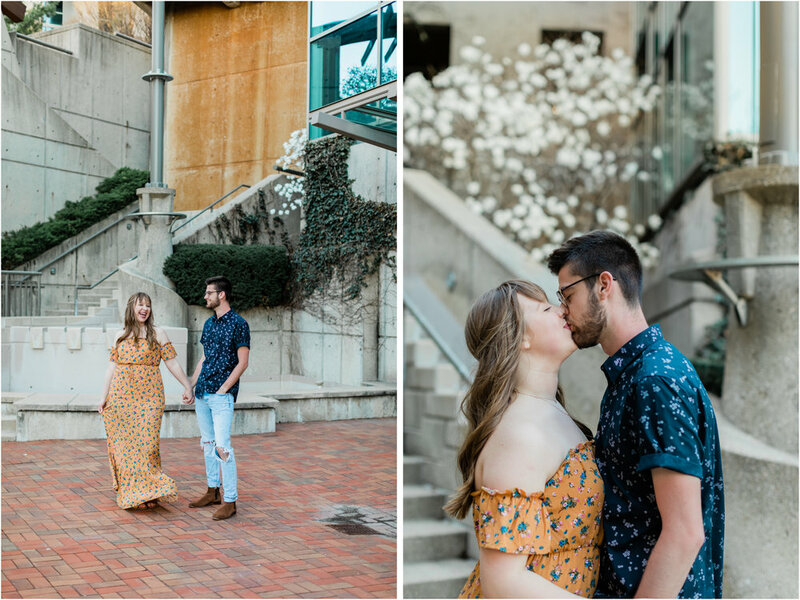 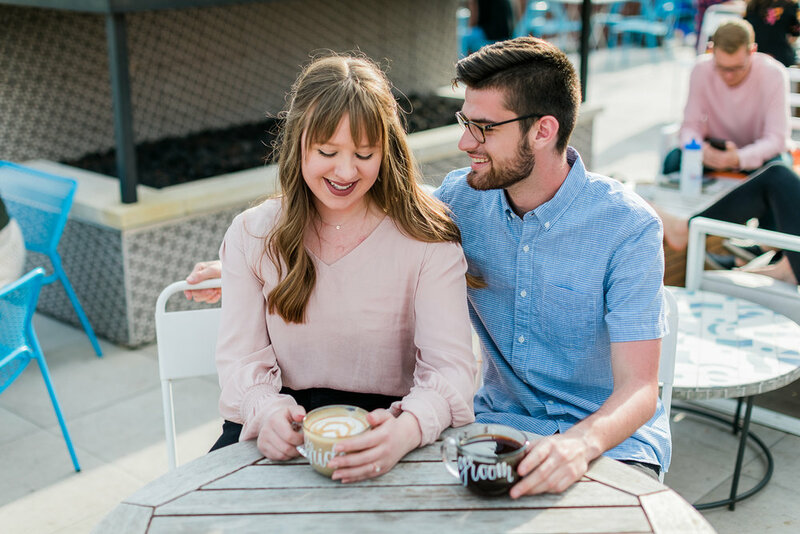 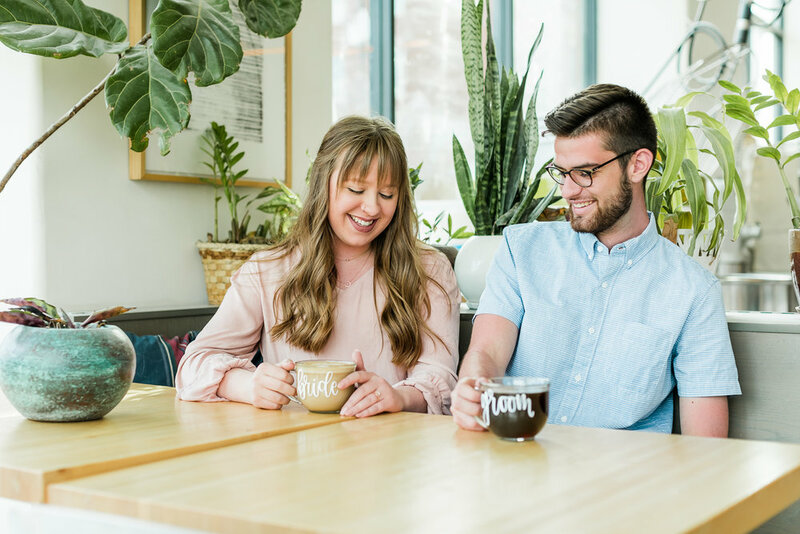 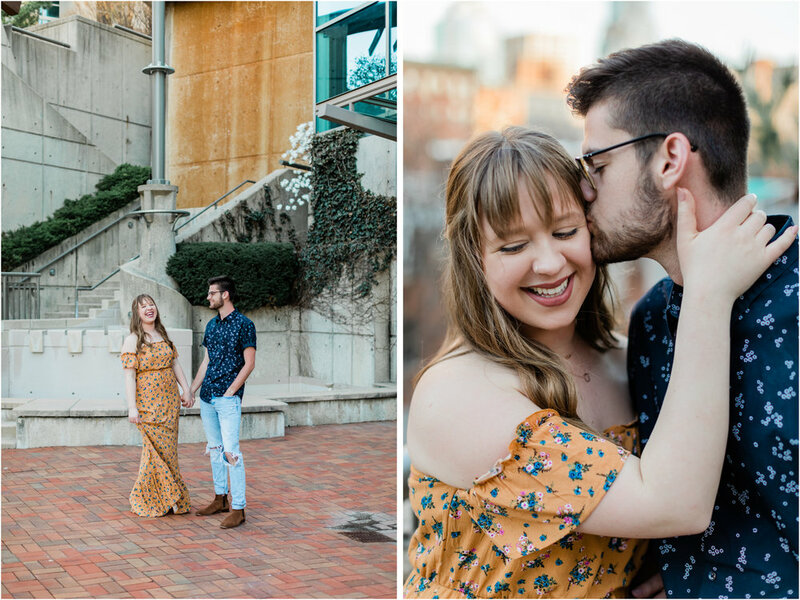 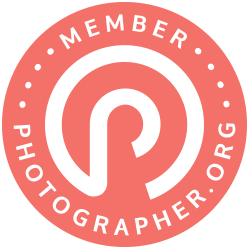 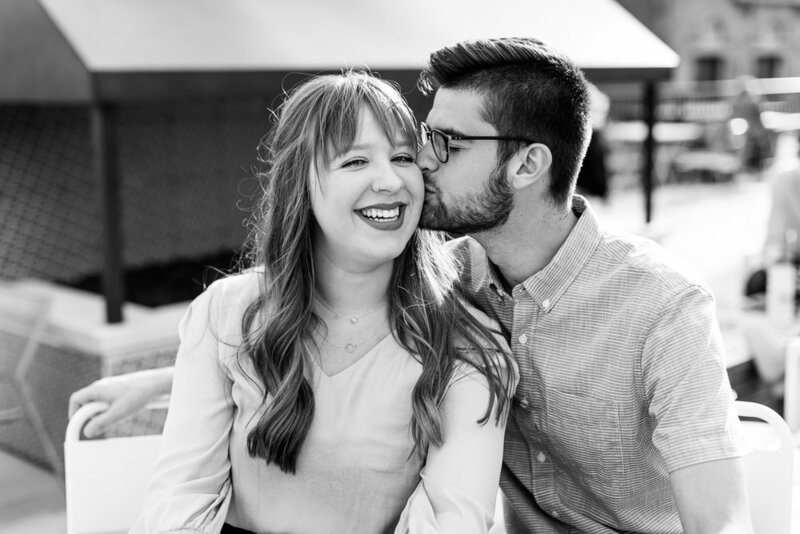 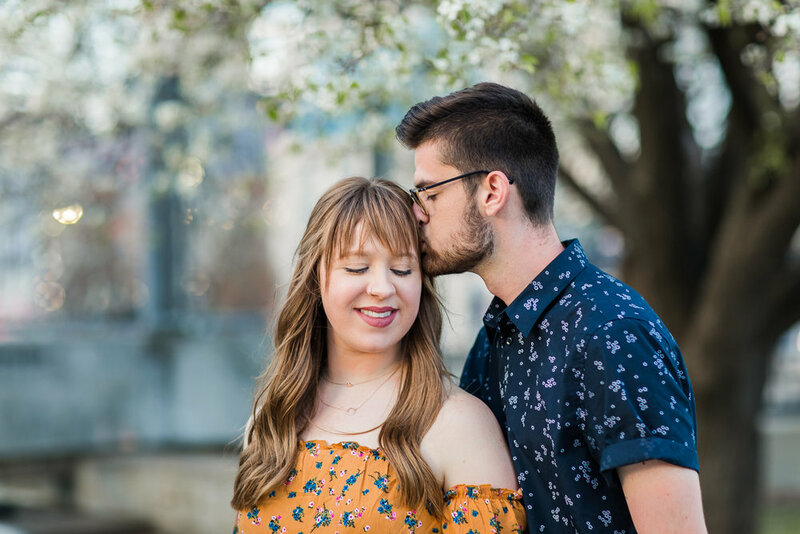 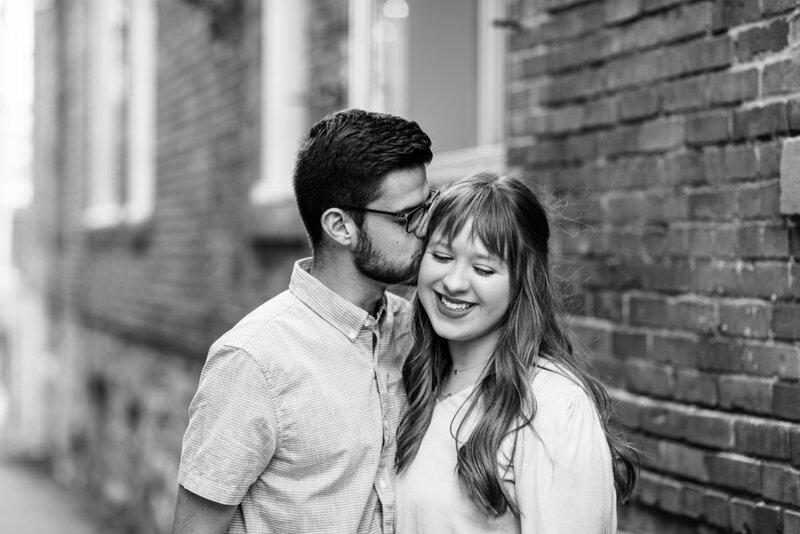 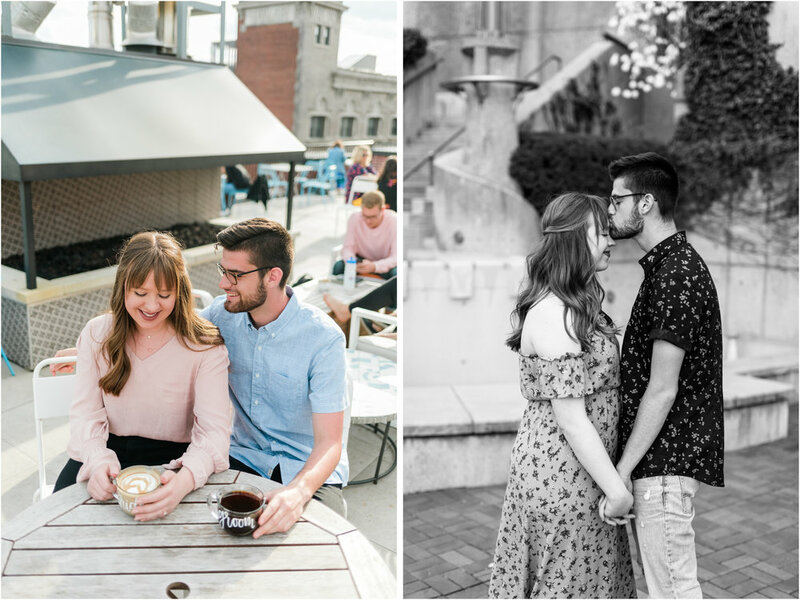 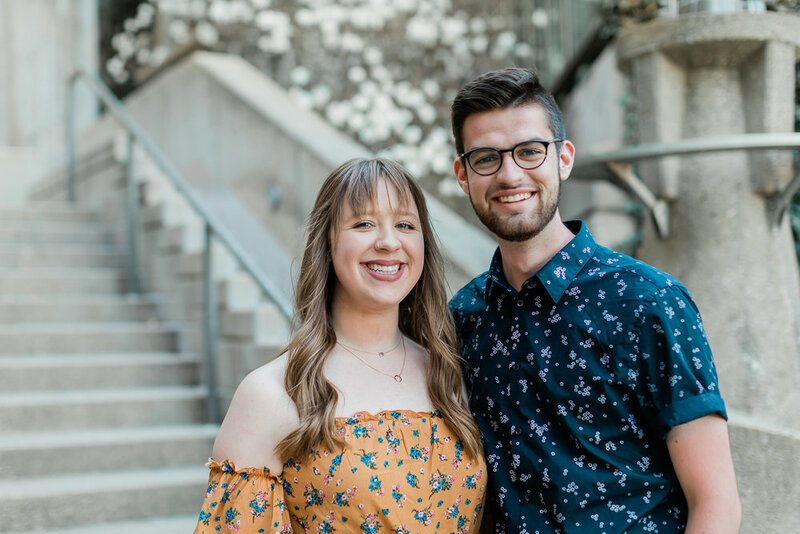 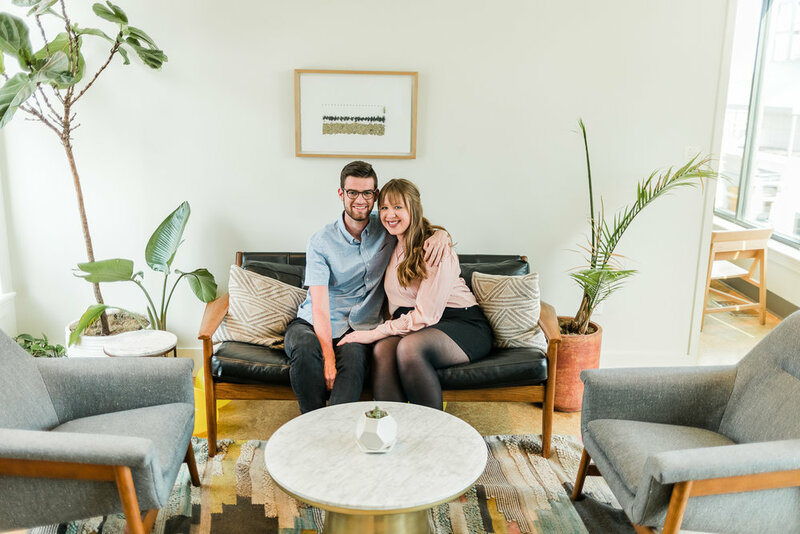 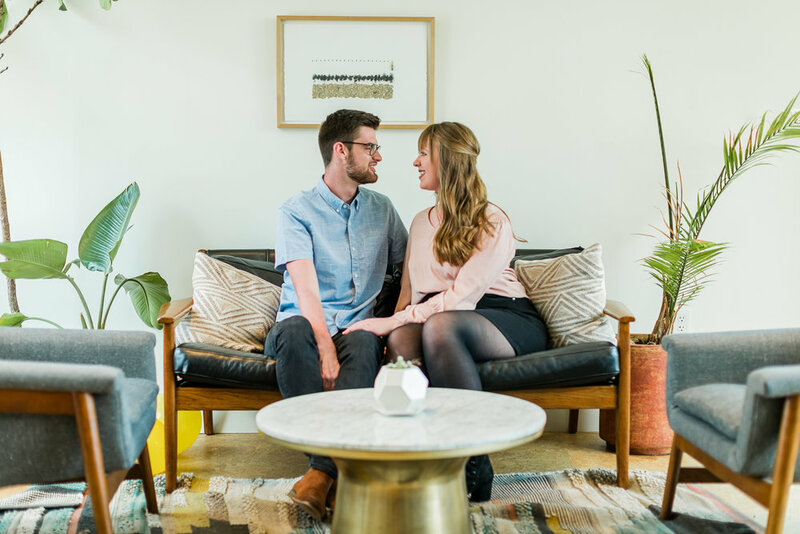 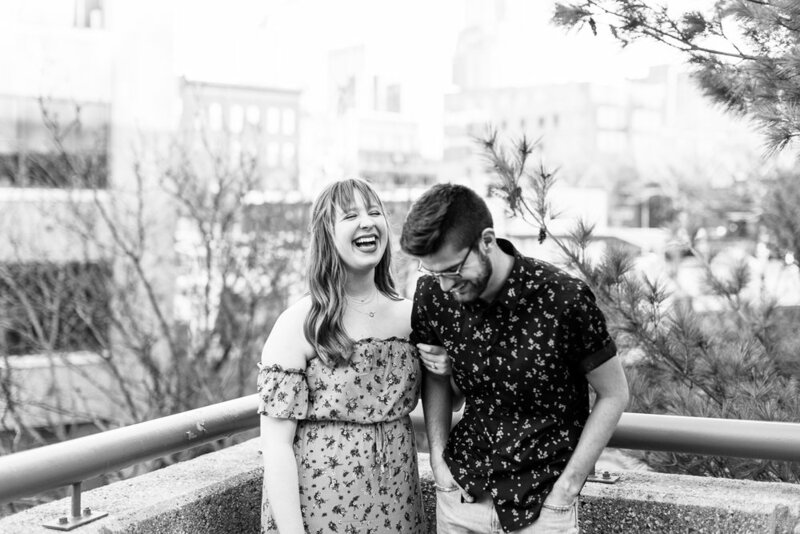 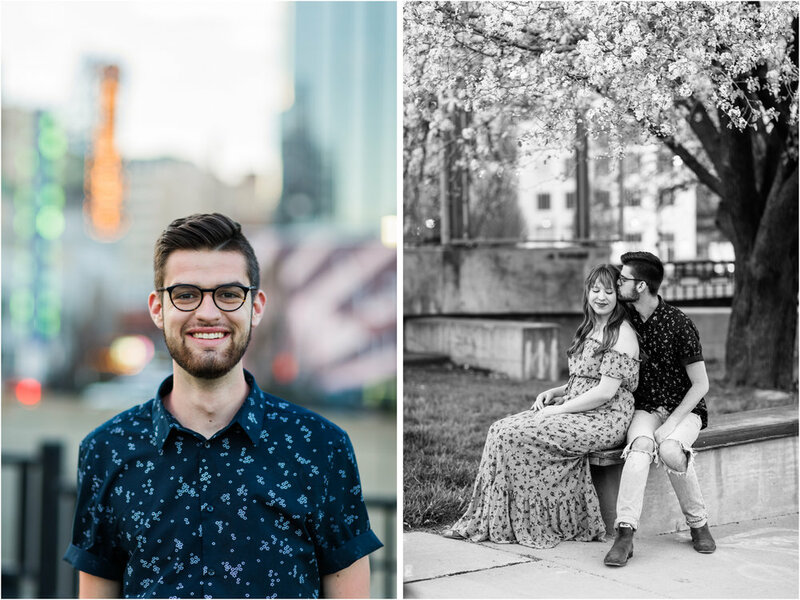 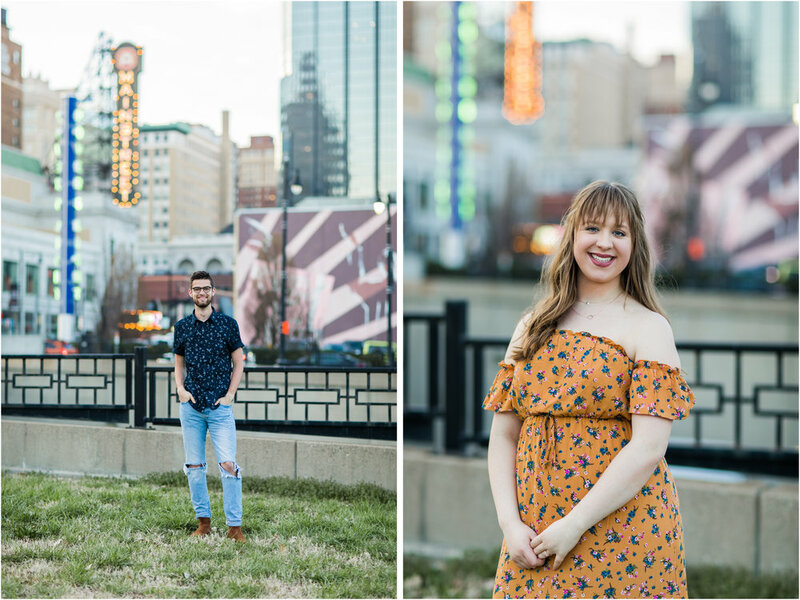 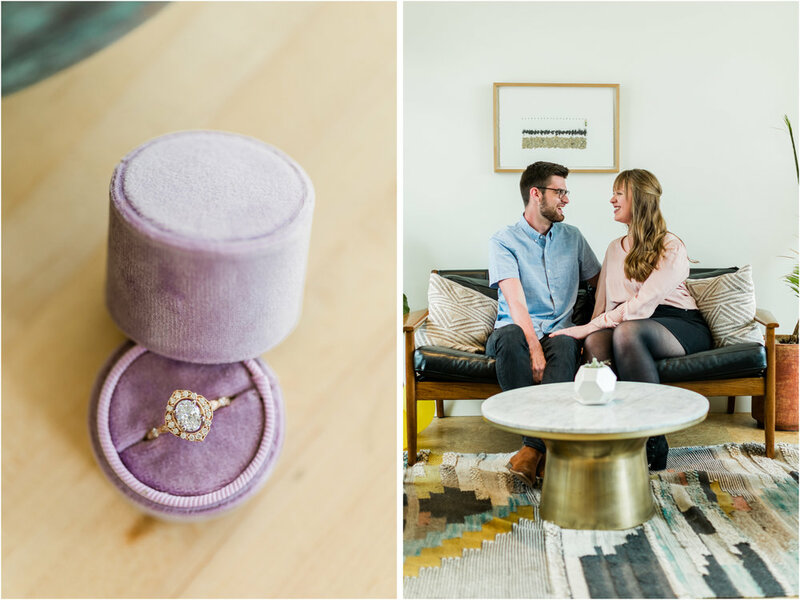 Jaque and Andy are two of the sweetest, most fun people you’ll ever meet… I still can’t believe I get to capture this incredible season in their lives together!! 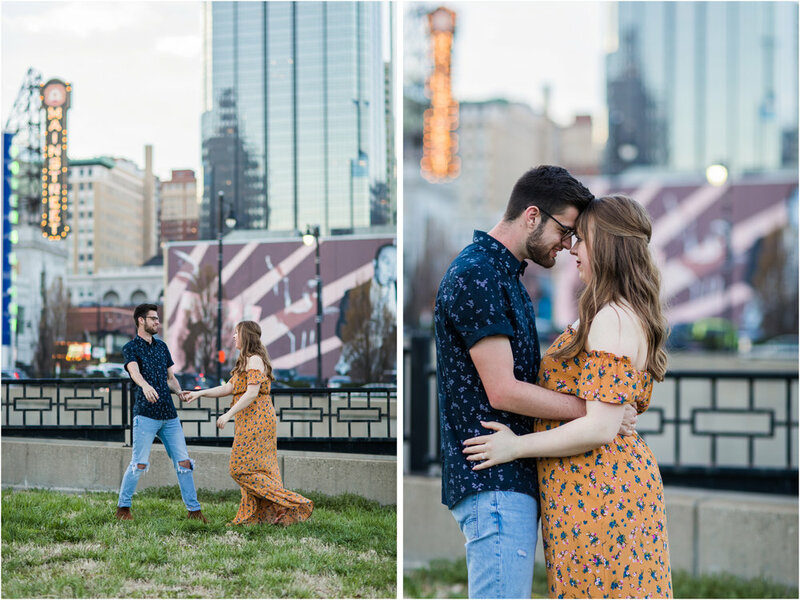 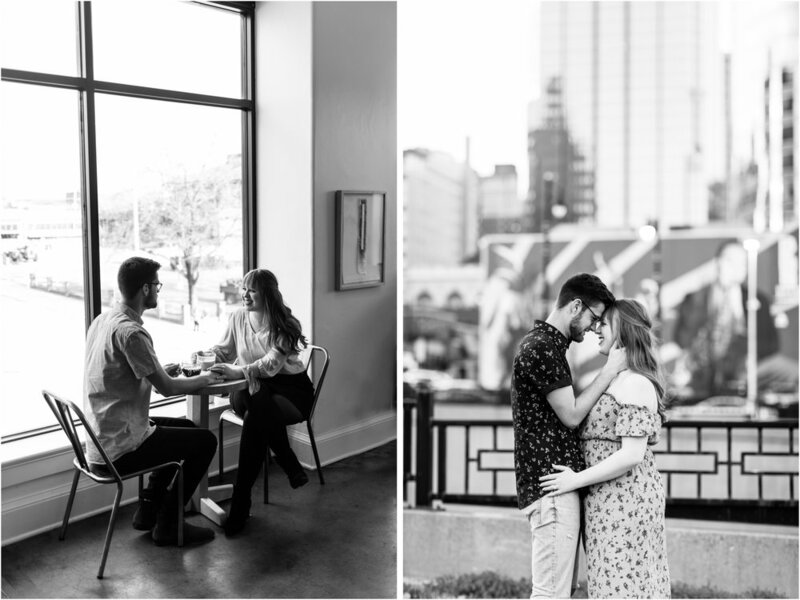 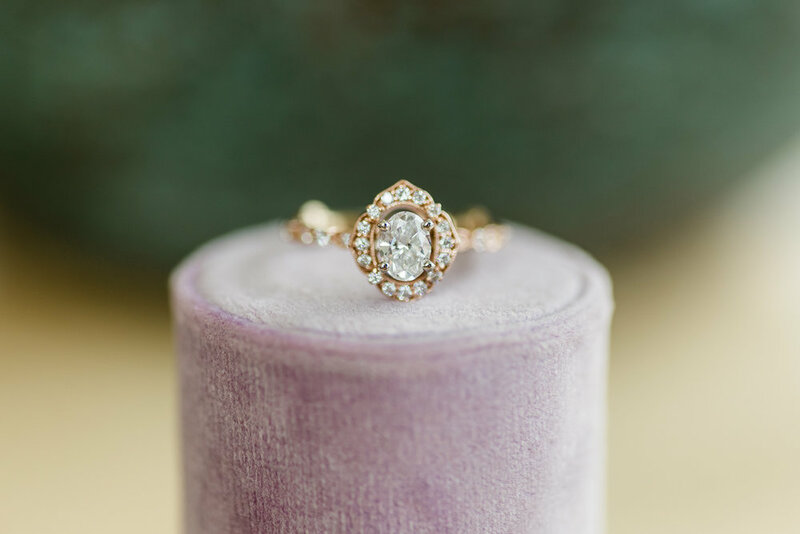 They adore Kansas City so much that we did our best to showcase some of the elements that make it so love-able. 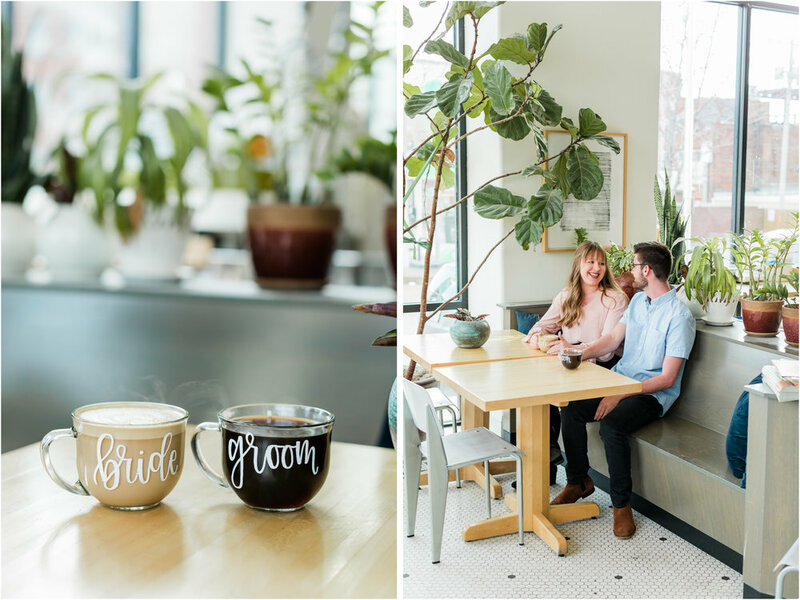 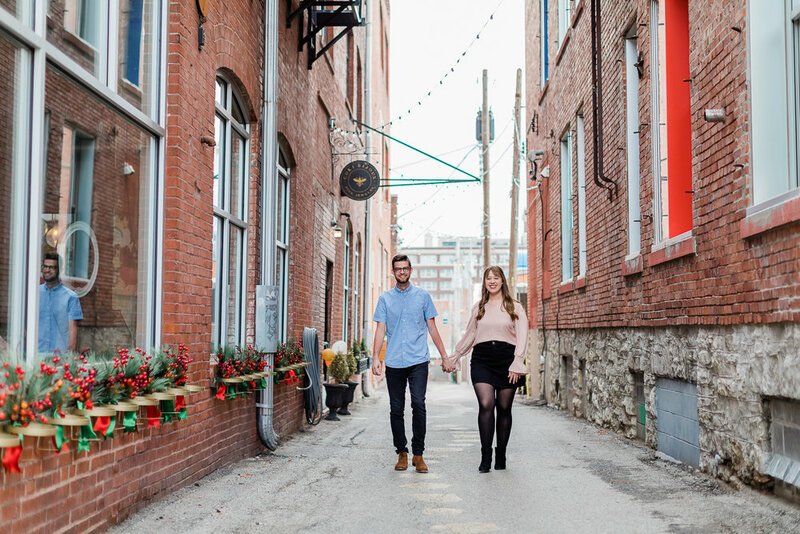 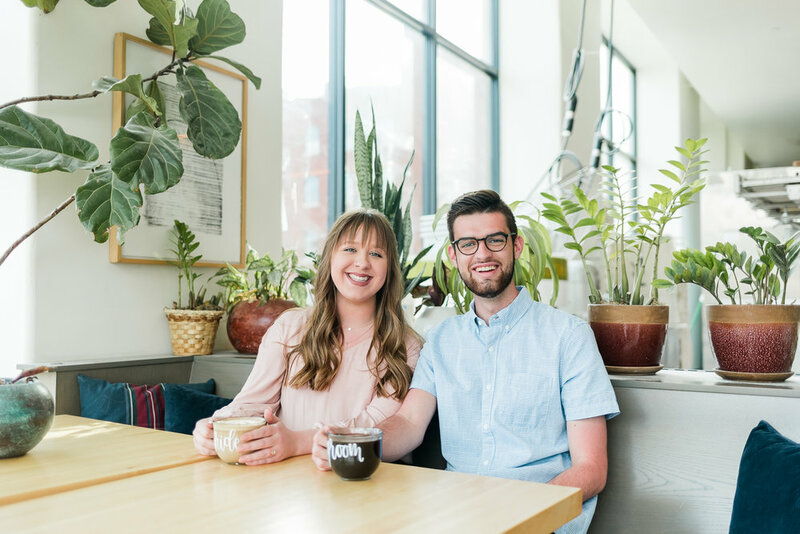 Starting at one of their favorite coffee shops (and also one of the most photogenic), Messenger Coffee, we then moved a few blocks West further into the Crossroads Arts District for some classic alleys and street photos. 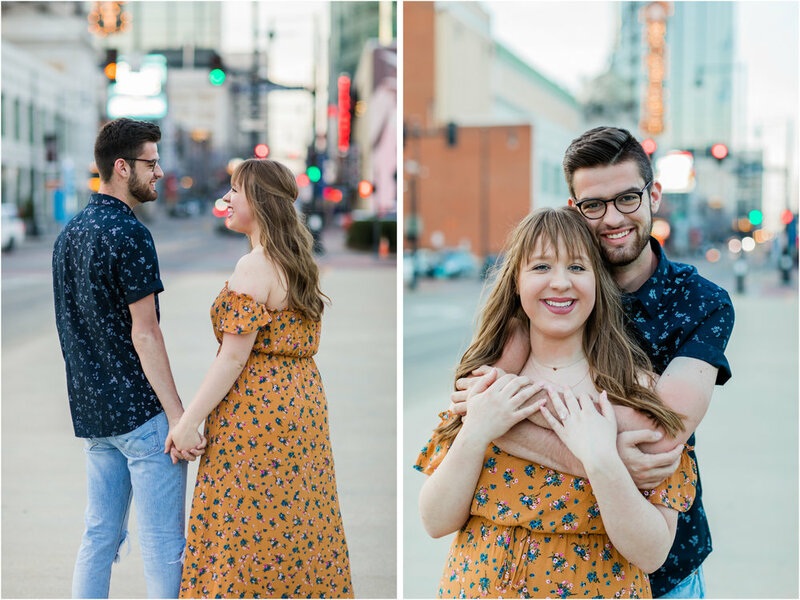 We ended downtown in the Power & Light District for some classic shots on Main Street as the city lights started to turn on near sunset. 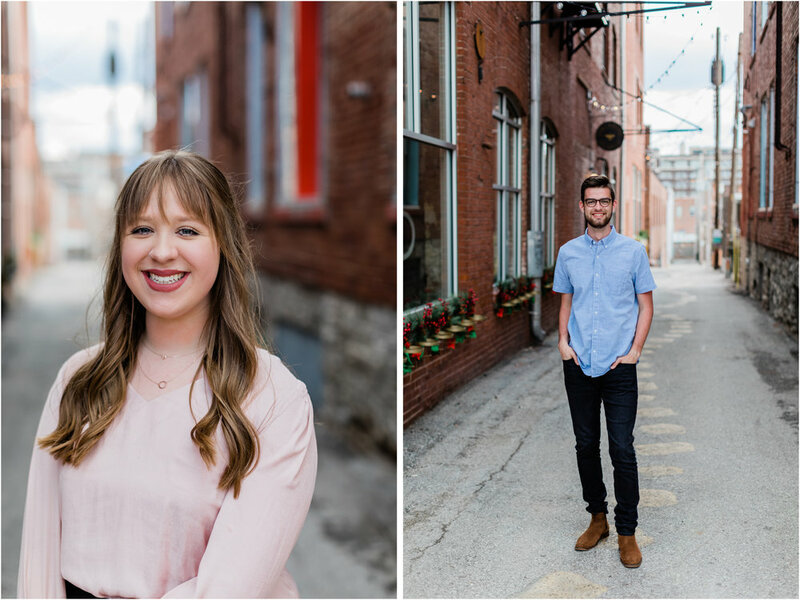 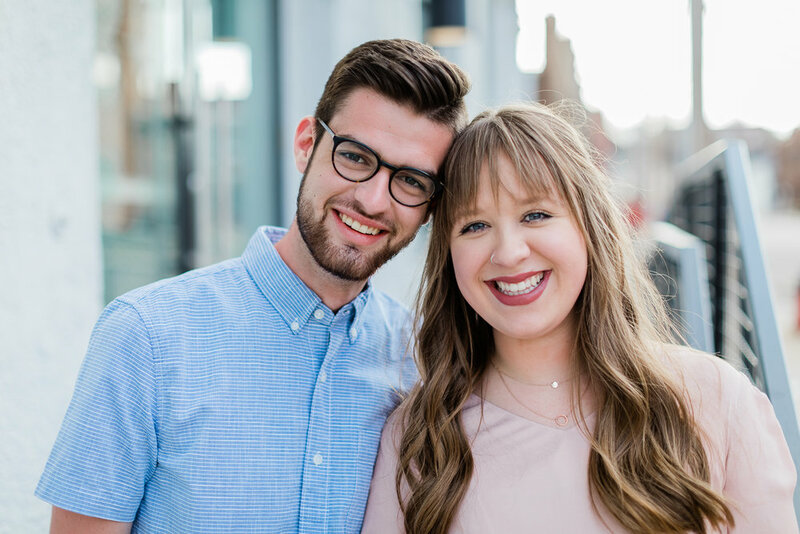 These two will tie the knot in Paola, Kansas this November and I absolutely can’t wait to celebrate with them as they step into marriage! 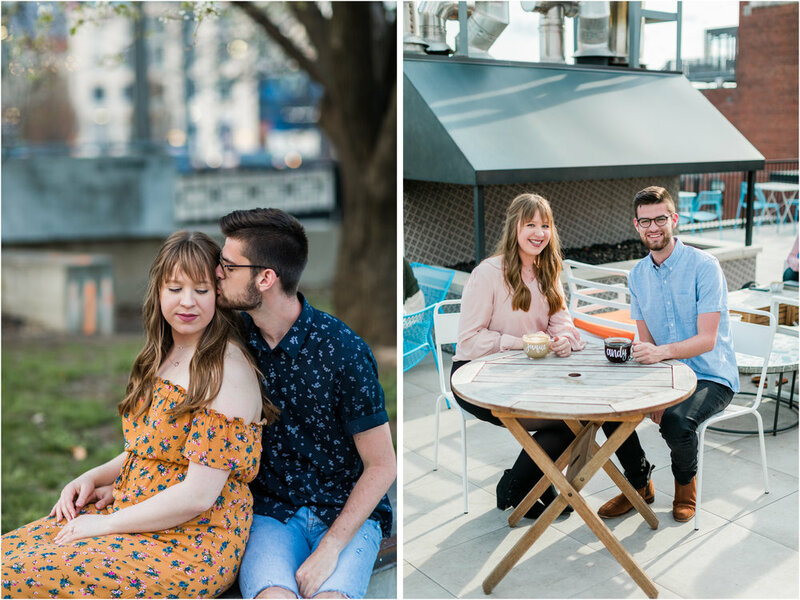 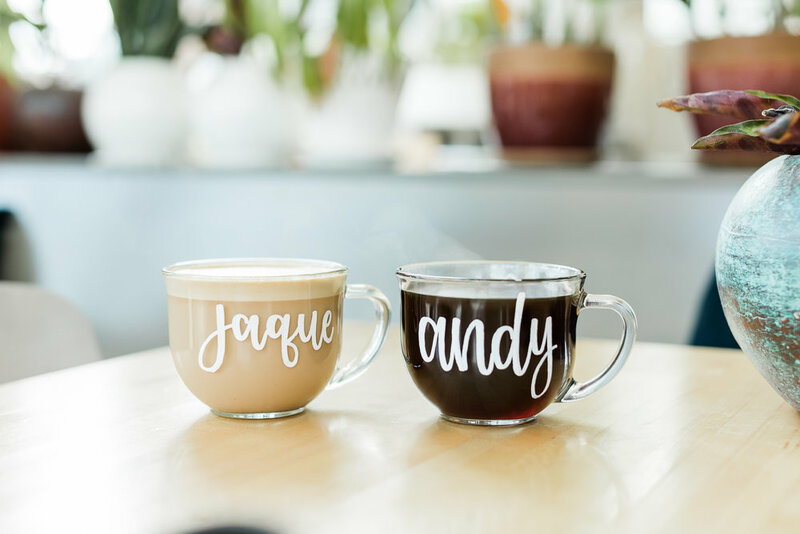 Congratulations, Andy & Jaque!! 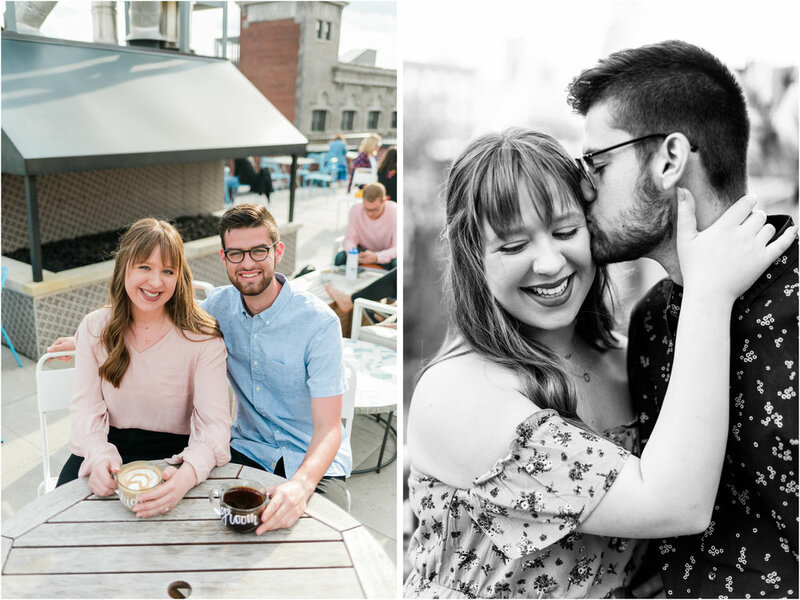 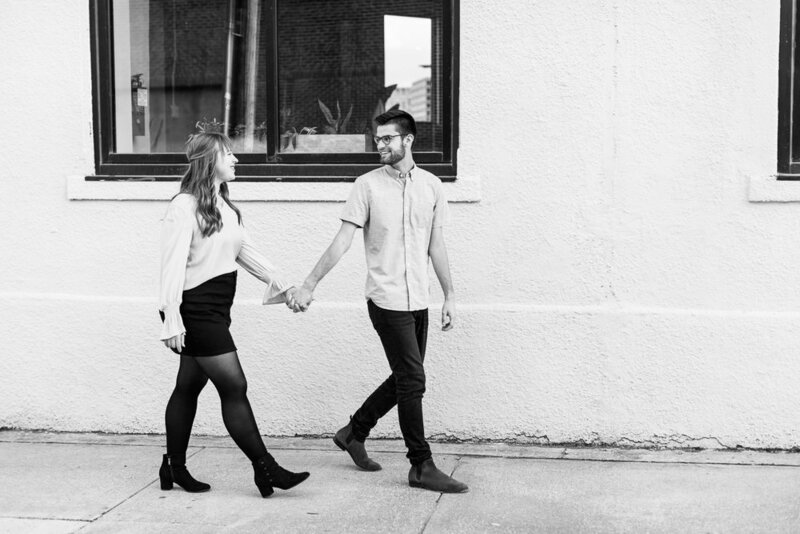 I’m ecstatic that you’ve found each other and that you’re about to embark on the beautiful journey of marriage!